Click below for information and pictures relating to a few of the more recent ones. 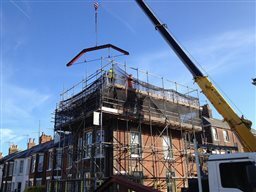 Project : Penthouse roof steelwork. Client : Jon Briggs Builders. 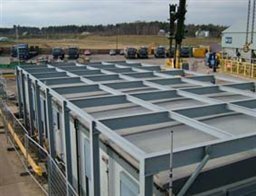 Project : Design Fabricate and Erect Steel Frame to Support Portacabins Over Existing Office Portacabins. 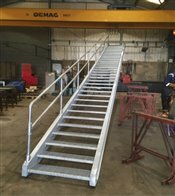 We have just completed this new access stairway for a first floor Portacabin which has just been installed. 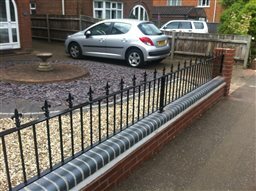 These railings were made by us to the client’s design. We worked closely with the builder to ensure they fitted first time. Project : Open plan steelwork. Client : Ian Wilton Builder. 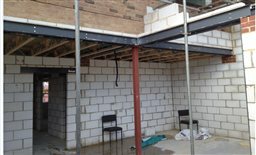 Our company fabricated and installed this steel framework to allow the client free open plan living. To coincide with the launch of the new website and to keep the branding complete, we replaced and re liveried the entire Fleet of vehicles. We have recently completed this sectional stairway for our client. 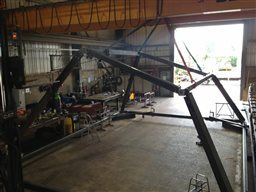 Seen here in our fabrication shop, we pre-assembled this structure before despatched to site. This galvanized steel structure is a new seaside cottage located in Southwold in Suffolk. We manufactured and installed the steelwork working in close conjunction with our client. Project : Park Farm Hotel. 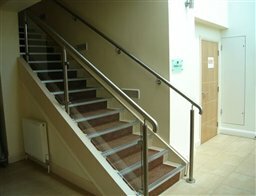 Supply and Install Stainless Steel and Glass Staircase Balustrade as per Architects Drawings. 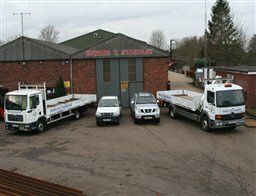 Client : Robert Hawkins builders - Wymondham. 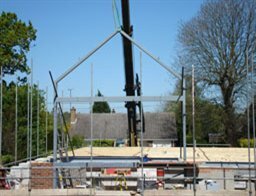 We manufactured and installed this steel summer house frame structure. 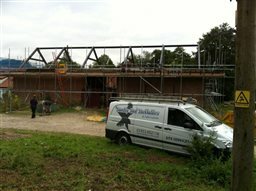 Standley Steel fabricated and installed this roof structure on a barn conversion at Saxthorpe. Reclaimed Grade 1 softwood and hardwood railway sleepers are available to buy from Standley Steel Stockholders. Ideal for your landscaping project or retaining walls and gardens. 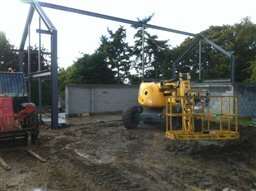 Project : Steelwork for new luxury dwelling. 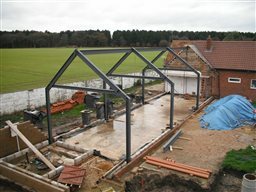 We are installing the main steel structure for this new build house in North Norfolk. Open plan kitchen steelwork fabricated and supplied by Standley Steel. 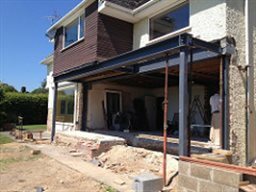 This steelwork is designed to allow an open plan kitchen area in a new build house. We manufactured this arch here at Standley’s for our client. 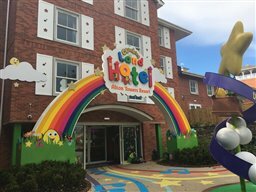 We adapted the original design to make this Portal frame building more cost effective to manufacture and easier to install. 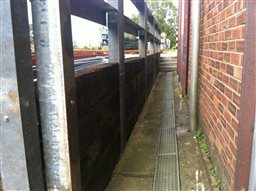 We have been commissioned to make this sectional stairway for access to a storage facility. 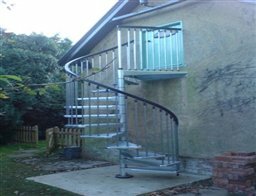 The stairway is made in Mild steel and hot dip galvanized. 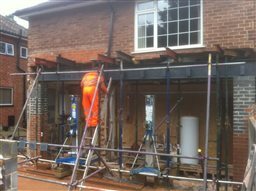 Our site fix team are installing a pair of full width steel lintels. Client : R & A Builders. New 4 metre 170 tonne press brake. We now have an Amada 4 metre/ 170 tonne press brake which is able to fold and shape metal from 1mm to 10mm thick. 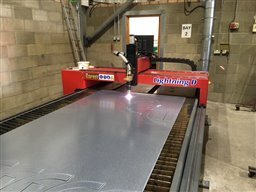 New ’Esprit Automation’ CNC Plasma profile cutting machine. 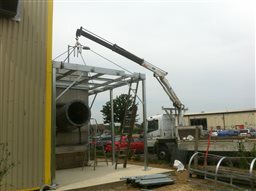 This is a permanent access tower which we have fabricated and installed. Client : Ultimet Films Ltd.